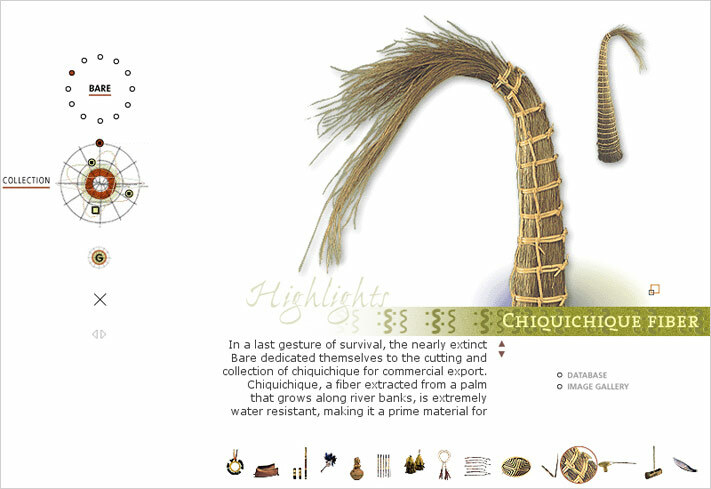 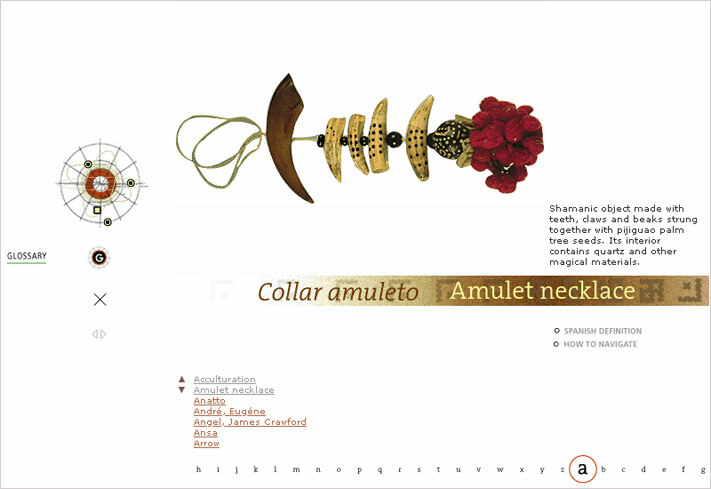 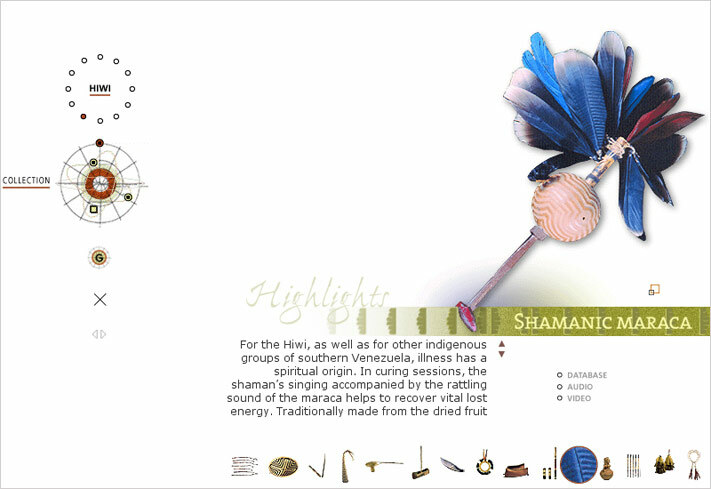 Keenly aware of the impact of development and acculturation on the indigenous societies of Southern Venezuela, the Fundación Cisneros sought to develop an educational website based on its extensive collection of ethnographic objects from twelve indigenous groups living in the Venezuelan Amazon. 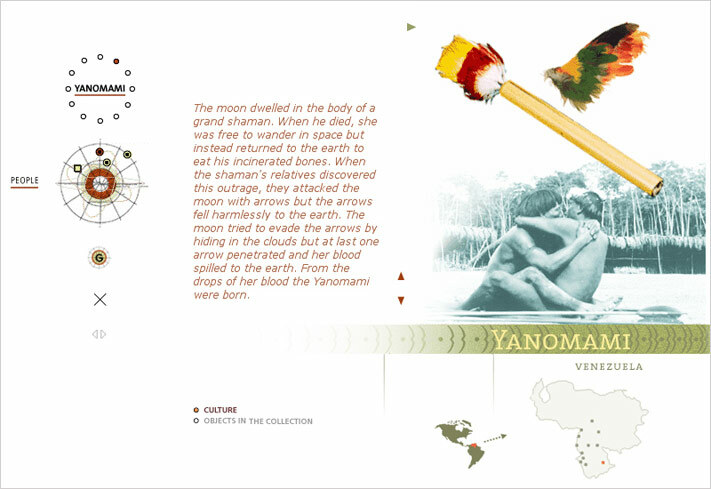 The site was to be part of a larger effort to preserve, study, and promote the cultural heritage of Venezuela and its indigenous populations. 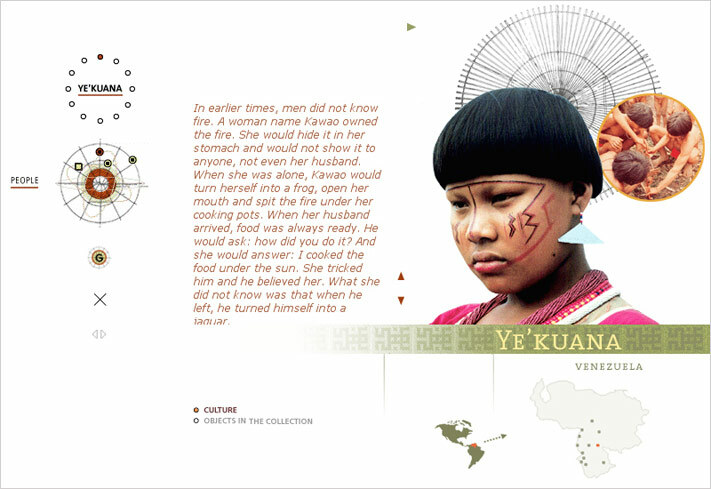 Editorial and interface design work together to create a rich and engaging narrative fabric, equal parts ethnography, history, geography, and mythology. 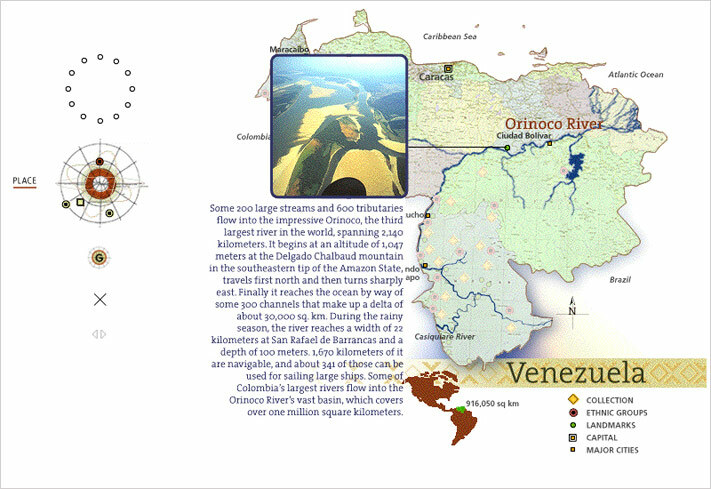 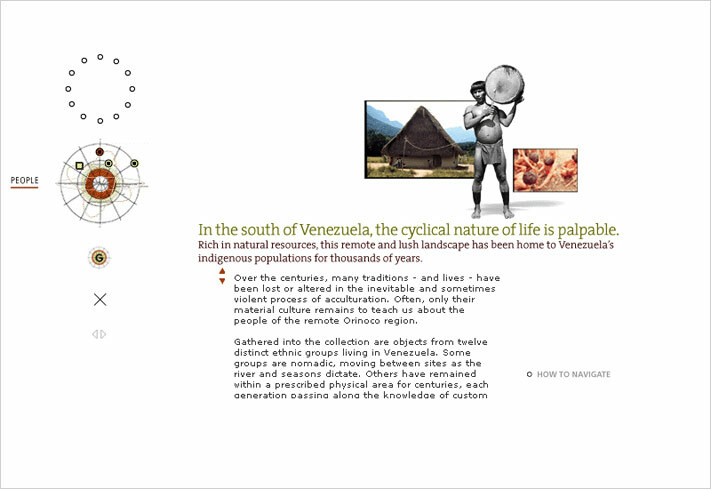 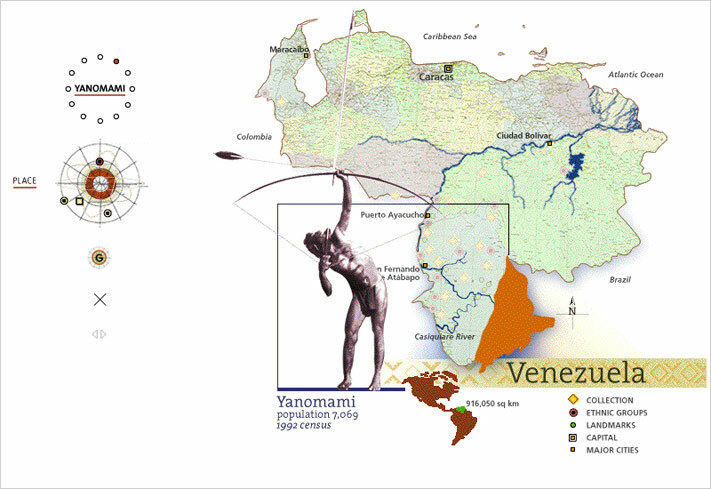 The site features a selection of highlights from the collection; a searchable database of ethnographic material never before available online; in-depth articles on the cultures of 12 indigenous groups; a multimedia glossary; and an interactive map of Venezuela, showing group locations, census numbers, geographic landmarks, and quotes from explorers. 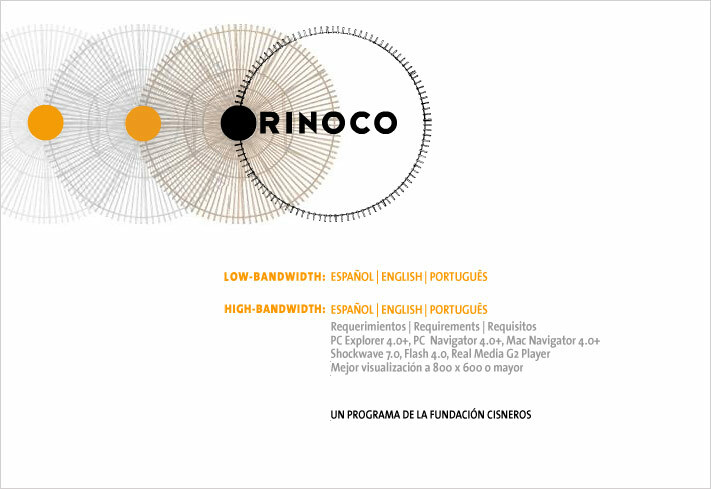 The site was produced in three languages (English/ Spanish/ Portuguese), and two bandwidth iterations.